CaroLines Creative Stamps: 15 minutes of Fame 3! 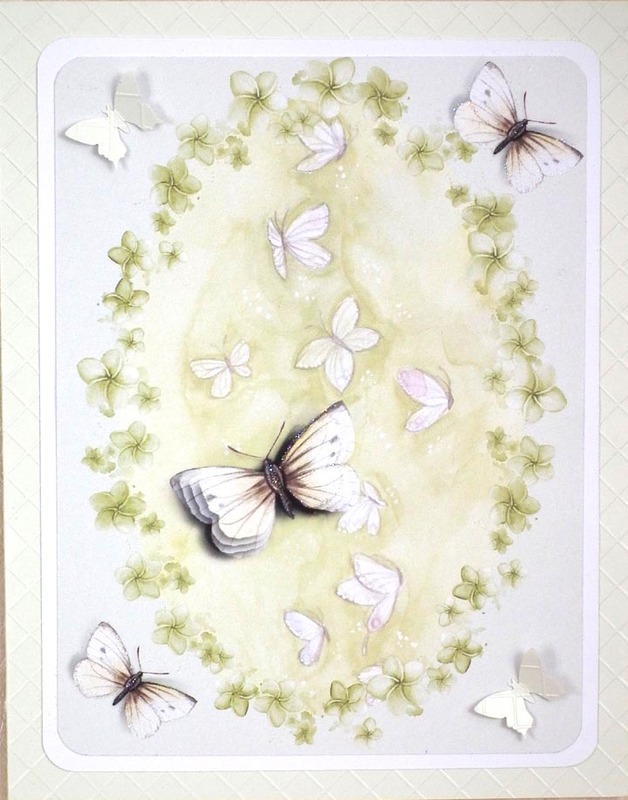 The iris petals and butterfly have been printed on to vellum and decoupaged to the card. The small flowers also decoupaged. Each butterfly's wings were cut out and glitter applied to the card underneath. The oval was punched from one of the background papers and outlined using a brush from the Butterfly Paradise kit (colour changed to green). The large butterfly uses CAP2's decoupage feature.